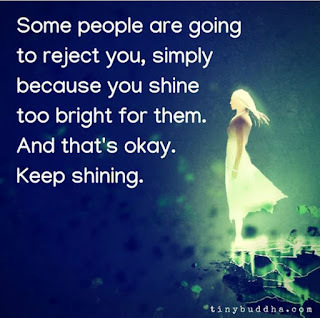 Some people are going to reject you, simple because you shine too brightly for them. And that's okay. Keep shining.